Oil & Gas is one of the fastest growing industrial sectors in the current global market economy. Due to increased demand for qualified professionals in both offshore and onshore industries, professional training has never been more important. One of the largest and fastest growing business sectors on the planet, the Oil & Gas industry is indeed complex. 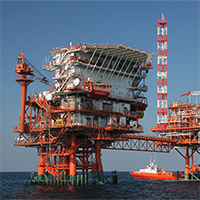 Professionals are constantly in demand throughout engineering, operational and professional Oil & Gas support functions. 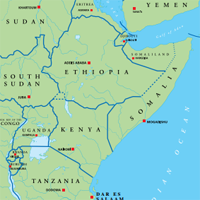 The discovery of new sources always provides new demand for employment, and another new example for this is East Africa, off the coast of Tanzania, where the discovery of 46.5 trillion cubic feet of natural gas reserves has put the country on the world energy map. The number is expected to rise to 200 trillion cubic feet in the next two years, and eventually transform Tanzania into a middle-income country. Already a number of courses in Dar es Salaam, the largest city and old capital, are available. Other countries with an abundance of oil & gas courses include Libya, Malaysia, and the United States of America. Throughout the natural resources exploitation, the complex phases of product refinement, monitoring and transportation concern diverse decision-making structures and specialised professionals in all operations. Professional training in the Oil & Gas industry is designed to fulfil the optimal management, safety and competitiveness requirements driven by the global market. A sometimes unwieldy machine, it is crucial that all players and personnel in the petroleum industry, as well as non-technical support staff have a clear understanding of the overall vision and mission of their company. All actions, from the upstream through to marketing sectors, must remain aligned with industry realities and meet customer expectations. Transnational operations concern national and multinational actors on all continents. Russia has the largest reserves, and is the biggest exporter, of natural gas and is second only to Saudi Arabia in Crude oil exports. During the initial phase of the Oil & Gas process, national entities or private entities hire drilling companies which then allocate resources to production. This is, in essence, the exploration and production (E&P) sector. Also referred to as upstream oil & gas, this sector covers everything from discovery to contracting firms, drilling and extraction. It is crucial both in operational terms and for initial relationship building between the various international agents that will follow the product all the way to the customer. The midstream sector, primarily dealing with transportation, is commonly grouped in with downstream processes as far as resource distribution is concerned. Consisting of transportation of crude, refining in various petroleum products and marketing those products, the downstream sector is essential everything involved in connecting the raw product to the consumer. Many oil and gas professionals have specialisations in geosciences and petrophysics. The refining phase is one of the most sensitive phases of products refinement, which is regulated by environment protection agencies and quality assurance agents, and further confronted with the market demand and the connected products or industries. An area of growing concern, regular debate concerning the downstream sector centres on low-carbon initiatives implementation and meeting the 0-carbon emission goal in the shortest time possible. In addition to this industry-specific entities, the international standards for quality assurance apply to project-specific initiatives in the Oil & Gas industry. Depending on where the central exploration unit is located, Oil & Gas industry operations may involve onshore or offshore expertise. The safety and quality standards may vary from a location to another, and need to be adjusted according to the terms and conditions of the exploration contract. Hence, professionals involved in drilling operations have to fulfil mandatory training that prepare them for the quality standards of the Oil & Gas work abroad, be acquainted with their local managing partners and operators, and make sure the products are delivered in the safest manner. The general administration of oil & gas products from the exploration to the marketing phase concerns all the management structures of the contracting firm, national bodies and the marketing personnel. Besides strong knowledge of the energy resources administration, business professionals operating in the management of oil & gas resources need to be aware of the customers' demands and the quality and environmental standards. Comprehensive professional training in the business administration of petroleum products thus connects to the drilling operations, legal procedures, contracting and commercial operations. Logistics management courses can also be useful for oil and gas professionals. Financial administration is one of the crucial aspects of the development and implementation of a Oil & Gas industry project. Professionals with an education background in accounting or finances working in the petroleum industry typically complete additional training modules to understand the requirements of this competitive industry and the goals behind the funds administration. Economics courses are often beneficial for oil and gas professionals to understand the larger economic influences shaping their industry. Forecasting Courses can help gain a perception of the forces driving financial markets. Attorneys and legal personnel are involved in the drafting and writing of the exploration contracts specific to this industry and play a crucial role in the supervision of the project progress. Since a significant part of the legal operations in the Oil & Gas industry are subject to both international standards and country-specific laws, the professional training for law professionals entails an in-depth knowledge of multinational legal climates. Business professionals involved in high-level operations that trace the project management and development of petroleum exploration operations are skilled negotiators with and charismatic personalities who understand the role of their business within the framework of the global market. Training courses that prepare leaders for this sector's operations address all the aspects of communication, negotiation and interpersonal skills. Regular health and safety training is mandatory for most operational personnel in the Oil & Gas industry. High-risk operations and refining staff are expected to stay up to date with latest health and safety best practice and regulation. Constant exposure to high-risk operations and, sometimes, difficult access to medical centers during offshore operations demand good knowledge and intervention skills for immediate action under threatening conditions. The standardised health & safety training for Oil & Gas professionals is NEBOSH, which is recognised and accredited in training centres throughout the UK and abroad. In addition to ensuring HSE requirements for workers, training is also a must for ensuring the production of safe oil and gas products. Search the above courses for health and safety courses within Oil and Gas, or navigate to the Health and Safety category for more generic HSE accreditation. Oil & Gas courses are available for those starting out in the industry as well as for the professional looking to stay abreast of the latest developments.